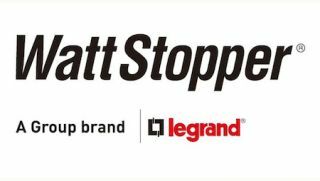 Legrand, North America has released major updates to the Wattstopper LMCS configuration software and Wattstopper Segment Manager Network software that extend the power of the Digital Lighting Management (DLM) control platform. The LMCS software provides industry professionals with important commissioning documentation, an indispensable tool for all building projects, including LEED projects. With active real-time monitoring of the DLM system, field technicians can easily configure, manage, and update job information while onsite as well as set up advanced features of DLM devices. New LMCS features include Network View, which provides an entirely new and holistic view of all DLM networking components on a project, making it possible to design, document, and keep track of all components that make up the entire DLM system. This feature, which includes fields for documenting network addresses for DLM devices, is designed to aid in the development of Typical Room and One Line Riser diagrams, and allow technicians and owners to stay organized and make working with larger systems more effective. In addition, Bill of Materials can now be quickly and easily exported at the area level through the device context menu, Network Bridge Report can document room bridges all on one page, and firmware has been improved for updating rooms and devices, as well as a variety of bug fixes. Segment Manager software helps building owners, facility managers, and electrical engineers optimize building performance and reduce energy costs with monitoring and management of lighting controls systems and their related energy usage. In addition to a tile-based interface that allows for easier organization of networked DLM systems, Segment Manager automatically populates tiles into the dashboard, which reduces setup time and provides alerts when a room or area exceeds normal usage. Features of the new Segment Manager include Uploadable Floorplans (Supervisor version only) that not only provide the benefit of custom graphics, but now are also more user-friendly to insert, manage, and maintain; full Wattstopper LMZC-301 zone controller support (the LMZC is used to provide power and connectivity to DLM fixture controllers, but can also respond to schedules sent from a Segment Manager); direct access to the Segment Manager manual from the user interface; and bug fixes to scheduling, network discovery, and LMCS file uploads.